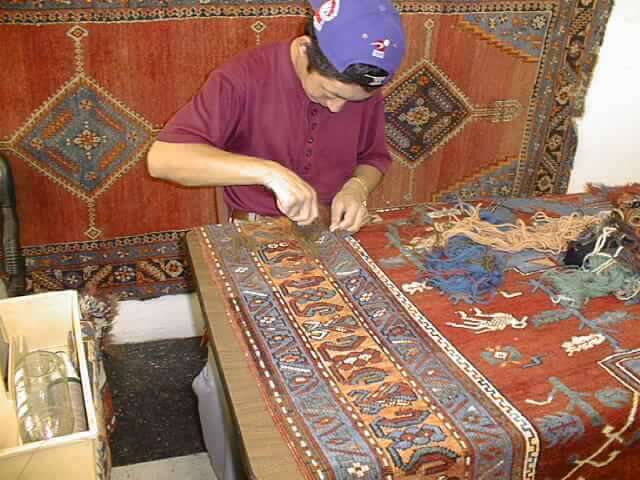 One of the biggest enemies of Persian Oriental Rugs are moths and their larvae; if not treated right away, moth-larvae will completely eat and destroy the rug’s wool! If larvae grow into full grown moths, they will fly around your house, not only eating your rug’s wool, but other products made of wool too! They can make big mess, but not to worry, our mothproofing services and products will stop them in their tracks! We use Zinc Silver-Fluoride treatment to destroy the larvae population; this product is completely safe to use inside a home, and since it is not a pesticide, it does not contain those harmful chemicals you find in pesticide products. This treatment will get inside the deepest crevasses of your rug, exposing and destroying all of the cozy hiding places of the larvae. Our mothproofing services and products will continue to be affective until your next rug cleaning; during the next cleaning, we will recommend another dose of the Zinc Silver-Fluoride to prevent any further moth invasion! 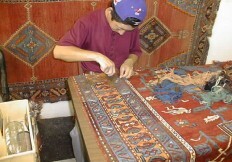 For more information about our mothproofing services, or to make an appointment, please give Persia Oriental Rugs a call at 508-753-4667.